In the midst of a discussion about Japanese atrocities committed in the Province of Batangas during the last world war, a former player of mine with whom I was having the discussion mentioned offhandedly that the Koreans in the Japanese army, or so he had heard, were actually nastier than the Japanese themselves. I was born 14 years after the end of the war in the Pacific; but I had not heard of this before. I grew up in a generation that watched black-and-white movies of Japanese cruelty; but there was never any mention of Koreans. Still, I felt that my former player’s statement was worth investigating. 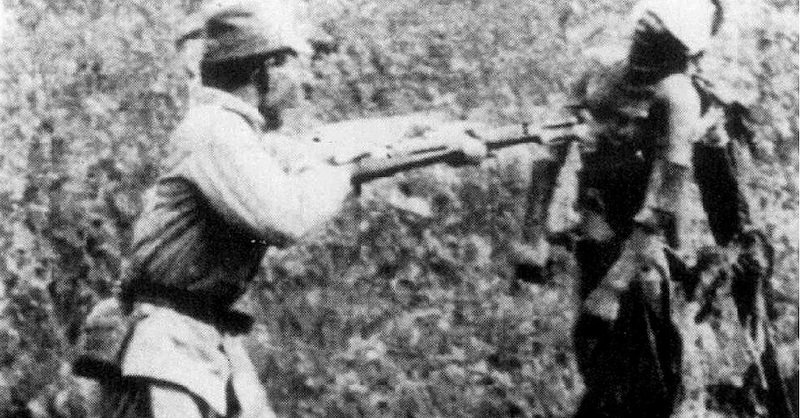 Having previously written about the estimated 25,000 Batangueños slaughtered by the Japanese when it became increasingly evident that they were fighting a losing battle against Allied Forces near the end of the war, I wondered how much of the atrocities committed was actually the work of Koreans, if at all what my former player said was true. Was this true, however? Finding an answer to this question has turned out to be extremely difficult; and mostly because of one main reason. Beginning in 1910, as a consequence of the Japan-Korea Treaty, the entire Korean peninsula was annexed by the Japanese Empire. The two Koreas – i.e. North and South – did not become independent nations until liberation from the Japanese in 1945 by the United States and the Soviet Union. Inside a Japanese POW camp. Image credit: posted by Paul at USmilitariaforum.com. 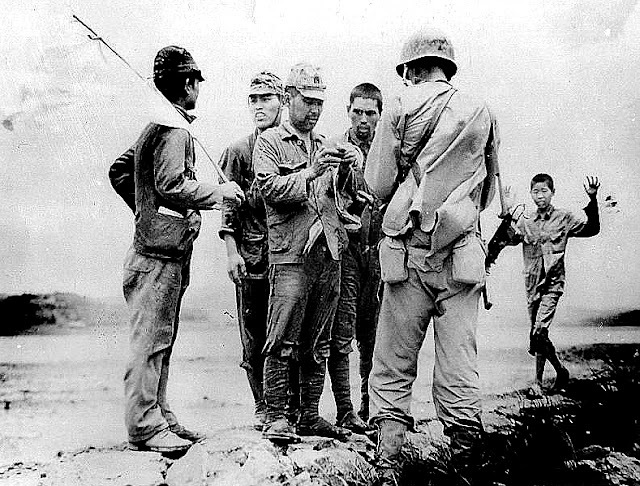 Before required enlistment was enforced, however, some 3,000 Korean volunteers were given jobs that the Japanese felt were beneath them as a race of people. Among these jobs was guarding Allied prisoners-of-war. Guarding POWs was a job that the Japanese had so little regard for that in some cases, an entire unit of Koreans could be under the command of a Japanese soldier with the rank as low as that of a Lance Corporal3. That the Koreans were cruel is also documented, but towards POWs and not towards the civilian population – or at least, according to documentation. This cruelty was imparted upon all Japanese soldiers by way of indoctrination in the tenets of bushido – the Samurai’s code – and Shinto – the Japanese religion. But were they at all involved in committing atrocities against the civilian population, majority of which were in the Province of Batangas? This is the part that is a tad more difficult to establish, and basically because the Koreans were, in a manner of speaking, hiding in plain sight in the Japanese Army. 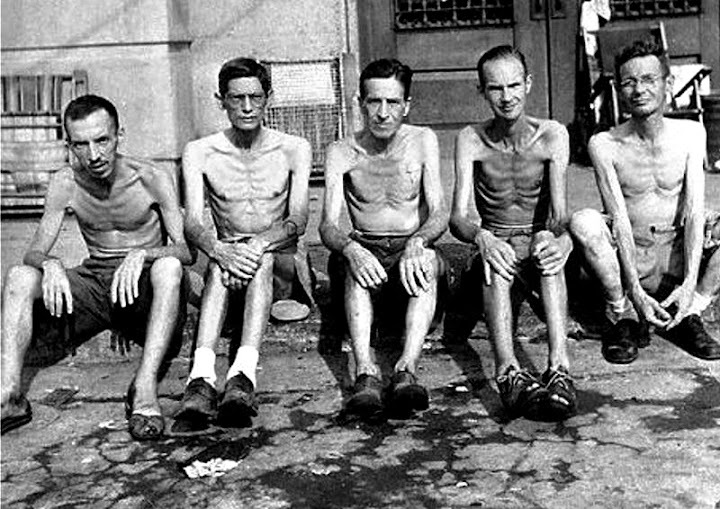 American POWs freed from Japanese camps in the Philippines. Image credit: Military History Now. Existing documentation, then, indicates two things. First, there were indeed Koreans in the Japanese Army in the Philippines in World War II, but they comprised a small percentage of the army. Moreover, they were mostly in auxiliary jobs that the Japanese felt beneath them. Among these jobs was guarding POW camps, where they were admittedly cruel towards their prisoners. However, there does not seem to be documentation that they participated in the wanton killings around the Philippines but most notably in the Province of Batangas. Therefore, it appears that the context of the Koreans’ cruelty in the POW camps was lost as it spread by word of mouth until this cruelty was eventually construed to mean towards the general population. Several weeks back, I chanced upon wartime survivor Alex Maralit at the Museo de Lipa. His sketches, which depict Japanese brutality in Lipa towards the end of the war, are at the ground floor of the museum. I spoke to him about the alleged cruelty of the Koreans; and his hypothesis was most interesting. According to him, it was possible that the rumours were something that the Japanese themselves had started to deflect blame away from themselves and onto the Koreans.